Best Web Hosting Company Ever. Hugespace Is The Best Web Hosting Company I Know. 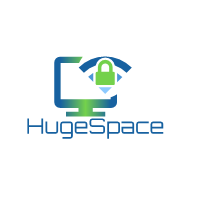 HugeSpace is a hosting company based in Germany. The company provides its services in association with AttractSoft GmbH headquartering in Kiel, Schleswig-Holstein, Germany. Currently, it is hosting more than 500,000 websites all over the world. They offer multiple hosting solutions at a reasonable price. Also, the add-on services such as domain name registration, e-commerce solutions, SSL certificates, and much more. It is an entire risk-free company with no threat of any possibility of theft. There is a money back guarantee of 30 days in case the customer is not enjoying their services. The hosting platform is quite more straightforward; it keeps on upgrading with the time and innovations in the technology.